Would you like to access a route from your smartphone that contains all the information about the 28 monuments? 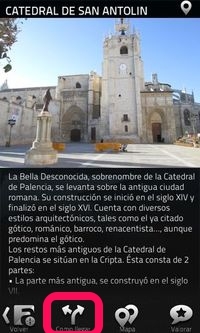 Access all the information about each monument. See the pictures of each monument. Watch videos of each monument (in some cases). Get directions on how to get to each monument (GPS). Check your own location and the monuments location in an interactive map. Orient yourself in an interactive map. 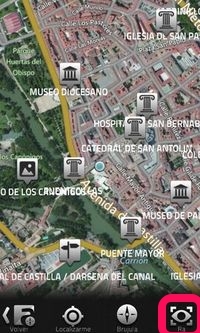 Check, in real time, distance and direction information about how to get to the monuments. 3. Convent and Church of “Las Claras”. 11. The School of Villandrando. 13. Gardens by the Train Station. 20. The Canal of Castile. 28. The Christ of the Knoll. How does GEOAUMENTATY app work? 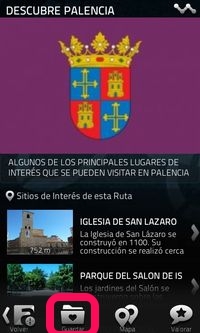 Download the app to your smartphone: look for “GEO AUMENTATY” in Google Play or in the App Store, depending on your smartphone’s operating system. Open the app after installing it. 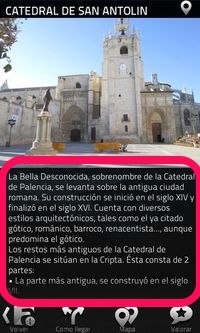 To find the route we have created, type “Palencia” on the search box (Encuentra/Find…). 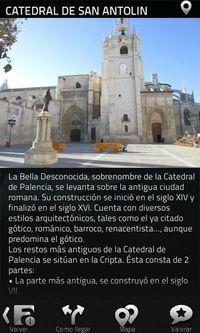 The app will find the following route: DISCOVER PALENCIA. 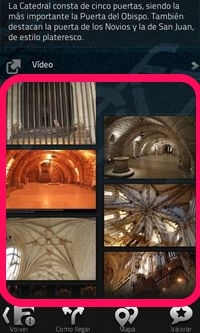 On the second picture, you can check what you will see at the beginning of the route. 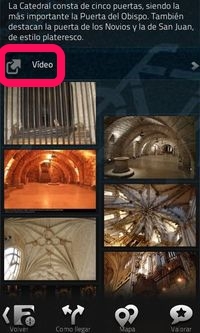 ​For your convenience, you can save the route in “My favourite routes”. If you do so, it would be easier and faster to access the route the next time. 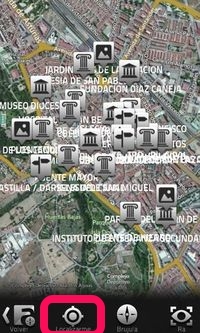 After selecting the route, you will see a list of all the monuments. Click on each monument to access it. Each monument will have information about it. If you scroll down the text, you can watch a video about that monument (not available for all monuments). You will also be able to see pictures about the monument. And even get directions about how to get to that monument. 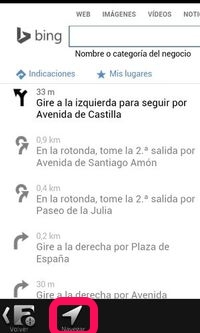 To do so, click on the “Como llegar” icon (How to get to). 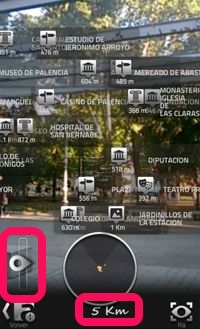 ​When clicking on that icon, the app will show you the directions you need to follow to get to the monument. 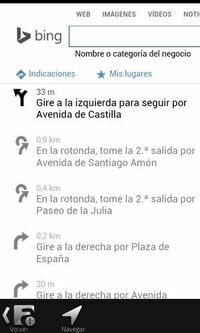 If you need further directions, then click on the “Navegar” icon (Navigate), and the GPS will start working. 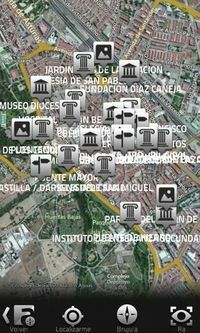 Click on the “Mapa” icon (Map) that is in the main page, to see all the monuments on the map. avegar” icon (Navigate), and the GPS will start working. 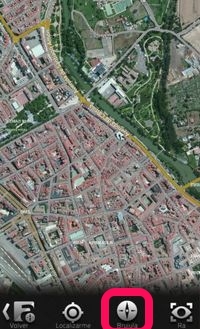 To locate yourself in that map, click on the “Localizarme” icon (Locate me). A small blue icon will appear on the map displaying your current position. To orient yourself better on that map, you can use the “Brujula” icon (Compass”). When clicking on it, the map will start rotating following the cardinal points. For example: the pictures on your right have been taken from the same spot, but on the first one the smartphone is facing the north, while in the second one it is facing the south. 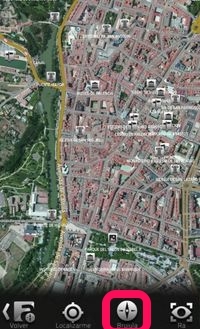 ​Finally, if you click on the “RA” icon (Augmented Reality), you will obtain real time information about the distance and the position of the monuments, as seen on the last picture. To control the information displayed on the screen, use the distance regulator bar and change the position of your smartphone.